What Does it Mean to Have a Suppressed TSH and is it Dangerous? A suppressed TSH is a way to refer to a condition in the body in which the TSH is lower than it should be under "normal" conditions. TSH suppression occurs as a result of taking too much thyroid medication, but also secondary to certain medications conditions which cause hyperthyroidism (such as Graves' disease). In this article, I am going to be referring to TSH suppression secondary to the use of thyroid medication (meaning endogenous TSH suppression) because of its impact on patients who take thyroid medication. It is estimated that anywhere from 25 to 40% of patients taking thyroid hormone may have a suppressed or "below normal" TSH. The state of having a low TSH is considered to be a big problem and one that often results in Doctors altering (reducing) the dose of thyroid hormone a patient is taking. This is often VERY confusing to patients, especially because usually when their TSH is low they often begin to feel better form a symptomatic standpoint. So, from the patient perspective, why would a Doctor alter the dose of thyroid hormone if they are finally feeling better? The answer has to do with the fact that TSH suppression is felt to lead to two potential negative side effects. That of bone loss and that of heart problems (1). But is this really a concern? The answer may not be as clear-cut as you'd think. Is causing TSH suppression with the use of medications the same thing as when it occurs from Graves' disease? Is TSH suppression from exogenous hormone equivalent to TSH suppression from endogenous hormone? How does the degree of TSH suppression impact the negative consequences? Is TSH suppression with T4 medication equivalent to TSH suppression from T3 only medications? Is one worse than the other, are they the same? There is evidence to believe that endogenous causes of hyperthyroidism may result in cellular hypersensitivity (2) (especially to tissues which are sensitive to catecholamines) which may not be seen in hyperthyroidism caused by excessive dosing. What this means is that taking too much thyroid hormone by mouth may result in a suppressed TSH and high free T3, but this state may NOT be equivalent to the suppressed TSH and high free T3 seen in endogenous causes of hyperthyroidism such as Graves' disease. This phenomenon may explain why patients with endogenous causes of hyperthyroidism exhibit obvious signs of hyperthyroidism (such as weight loss, tremors, heart palpitations and so on) while patients with a suppressed TSH secondary to medication use can, and often do, experience symptoms of hypothyroidism (weight gain, fatigue, cold intolerance, constipation and so on). If these two conditions are the same then someone must explain how they can result in polar opposite symptoms in patients. Does the benefit of TSH suppression outweigh the potential negative consequences of experiencing hypothyroid symptoms for an indefinite amount of time? Is it better for your health long term for you to be 40 pounds overweight or would you rather lose your weight and experience a risk of 1% bone loss per year due to a low TSH? There isn't a clear answer and the answer likely depends on the patient. This should be a conversation that each person has with their Doctor to determine if the risk is potentially worth taking in their individual case. Lastly, is there any risk of temporary TSH suppression for 3-9 months? Is there any harm that will occur if you temporarily suppress the TSH in an attempt to fix or reduce symptoms or help with weight loss? 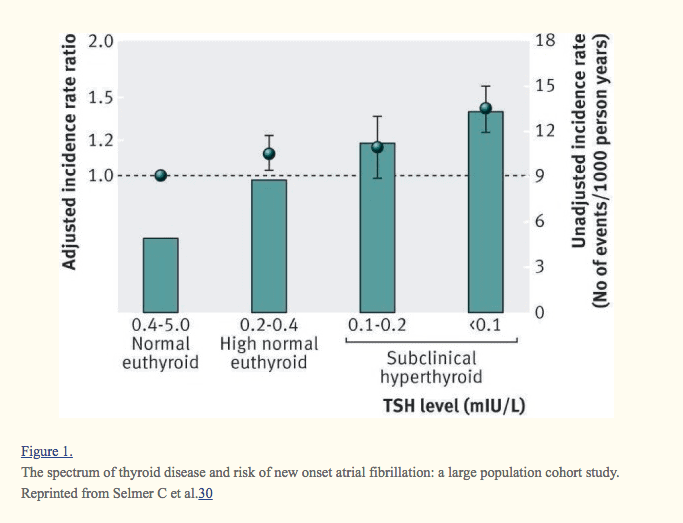 If there is no short-term risk (and I would argue that most of the risk from using T3 isn't realized until TSH suppression has been present for years) then what's the harm in a trial of altering thyroid medication? One of the most cited concerns for TSH suppression is the potential loss of bone or the cause of osteoporosis. The logic goes that suppressing your TSH will lead to an inevitable decline in bone health and an increased risk of fracture. Bone cells have thyroid hormone receptors and therefore they react to changes in thyroid hormone (3). In cases of endogenous hyperthyroidism (meaning your body produces too much thyroid hormone), patients do experience an increase in osteoporosis and fracture risk. This logic has lead physicians and patients to be scared of increasing thyroid dosing in fear that it may cause the same effects. Doctors are worried that taking too much thyroid hormone (T4) will result in the same risk that hyperthyroid patients experience. But is this actually observed in studies? Some studies do show that TSH suppression does cause an increased risk of osteoporosis but with 2 very important points. The absolute risk of osteoporosis and bone loss depends on the DEGREE of TSH suppression (4). If your TSH is less than 0.1 then you will experience more bone loss than someone with a TSH in the 0.2 to 0.5 range. Second, this increase in risk is really only statistically relevant in women who are post-menopausal. Pre-menopausal women do not see a statistically significant increase in bone loss presumably due to the beneficial effects of estrogen on bone maintenance. Can the risk of bone loss be mitigated (reduced) in post-menopausal women with the use of bio-identical estrogen replacement therapy? We don't have an answer to this because the use of hormones isn't widespread, but it may be worth considering on a case by case basis. Is there a risk of bone loss in post-menopausal women who use thyroxine but have a normal TSH? So there definitely is some difference seen in women who use thyroid hormone dosing which causes TSH suppression (5). The question is whether or not this TSH suppression is worth it (based on your case) and whether or not you can mitigate your risk based on other therapies. If you are a menopausal woman (meaning you are menstruating regularly) then TSH suppression is likely not going to cause any significant risk to your bone health even if used long term. In the most severe cases, menopausal women with TSH suppression may realize a bone loss rate of 0.3% per year. But what if you are a post-menopausal woman (meaning you no longer have menstrual cycles)? It seems if you fall into this category then you will realize an increased risk of bone loss and osteoporosis based on how long your TSH is suppressed and how suppressed your TSH is. Women who fall into this category may experience up to 1% bone loss per year, which after 10 years may increase their risk of fracture significantly. 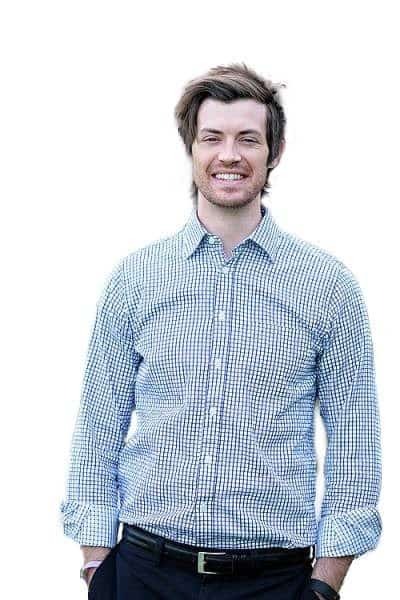 What isn't clear, however, is if this risk can be completely reduced with the use of bio-identical estradiol and progesterone with the idea to bring these hormones back to youthful levels. One study showed that the combination of estrogen and suppressive doses of TSH was enough to completely negate the negative effects of thyroid hormone and normalize bone density in patients on estrogen therapy (6). This study highlights the importance of hormone control BEYOND thyroid hormone in all patients, and it highlights that physicians shouldn't necessarily be scared of a slightly suppressed TSH in all patients. What about the use of Calcium instead of estrogen? Some studies do show that supplementation with calcium, even if your TSH is suppressed, may help prevent bone loss issues. This study showed that the use of suppressive doses of TSH, when combined with calcium, did not have a negative impact on bone health (compared to placebo) (7). Does this mean that you should suppress your TSH? Not necessarily, but it does mean that you should have a meaningful conversation about the risks vs the benefits with your current physician. While bone health is important, there are other factors that should be considered with TSH suppression as well, and that includes heart health. There's no question that thyroid hormone has an impact on cardiac function and cardiac size. Studies have shown that thyroid hormone helps regulate the heart rate, the size of the heart and has an impact on the pressure in various chambers in the heart (including the pulmonary arteries). So why are Doctors and patients concerned about the heart when it comes to their thyroid? Several studies have shown that patients with overt hyperthyroidism (such as from Graves' disease) show an increased risk of developing heart conditions such as atrial fibrillation, heart enlargement, and heart failure (8). It is then assumed that these complications would be seen in patients who take excessive doses of thyroid hormone by mouth for conditions such as hypothyroidism. The problem with this thinking is that both conditions, hyperthyroidism caused by disease states and exogenous hyperthyroidism (caused by taking too much thyroid hormone), are considered to be equivalent and the same. More studies are necessary to prove that this statement is in fact true. In the meantime, it's important to understand how thyroid hormone actually impacts the heart, especially if you are taking suppressive doses of thyroid hormone. What's interesting about the heart is that it only responds to T3 but it lacks the ability to alter T4 into T3 in its own tissues (9). This means that your heart is particularly sensitive to T3 containing medications such as Cytomel/liothyronine and Natural Desiccated Thyroid hormone. The heart is sensitive to T4 medications but only in patients who readily convert T4 into T3 (and we know that up to 15% of people may have an issue with this conversion). It means that you are more likely to experience cardiac effects when taking thyroid medications that contain T3. It also means that we shouldn't necessarily make general assumptions about the impact of thyroid hormone on the heart without differentiating between thyroid medications. So, can we look at TSH suppression and the heart the same way that we view TSH suppression and your bones? Not exactly, but there may be some similarities. The first is the degree of TSH suppression. Patients with subclinical hyperthyroidism (which is NOT the same thing as overt hyperthyroidism) show only mild heart problems compared to patients with Graves' disease (10). The second is the length of time in which your TSH is suppressed. Many of the complications of hyperthyroidism, aside from heart palpitations, may take years or decades to cause an issue. It takes quite a bit of time for cardiac remodeling (hypertrophy) to cause gross or overt cardiac dysfunction. Another very important point is that several studies have shown that reducing thyroid hormone (fixing the problem) causes a complete reversal in cardiac complications (heart problems). In addition, other studies have shown that concurrent use of Beta Blockers can prevent AND reverse cardiac changes seen in hyperthyroid patients (particularly cardiac enlargement) (11). It means that using TEMPORARY suppressive doses of thyroid hormone is not likely to cause any long-term cardiac complications. It also means that, if you are taking suppressive doses of TSH, the use of a beta blocker may be enough to completely PREVENT cardiac complications. There may be situations in which suppressive doses of thyroid hormone may be beneficial, but you should always consult with your physician and determine if the benefits outweigh the risks. It's plausible that temporary TSH suppression, with the goal of weight loss in mind, may reduce your risk of cardiac issues long-term in exchange for a temporary (and reversible) risk of cardiac issues such as heart palpitations. Should You Suppress your TSH? Dosing based on the TSH is an interesting concept and not one that is used for other hormones in the body. Take for instance the case of birth control pills. Prescribed birth control pills, when taken by mouth, act to completely shut down FSH and LH from the pituitary. Remember that TSH is a pituitary hormone, much like FSH and LH, but Doctors never bother to check FSH and LH when using birth control because they know that they will be suppressed. Birth control pills come in a standardized dose and hardly any thought is given to the degree of FSH/LH suppression when they are being used. Why then is the TSH given so much more weight when compared to FSH and LH? Even though BOTH hormones are secreted by the pituitary gland? The answer isn't clear, but this is something that should be evaluated in future studies. We do know, as you might suspect, that there are instances when the TSH is not necessarily the best measurement of thyroid function in the body. Even though this is the case, it doesn't mean that the TSH should be ignored when dosing thyroid hormone. But it does mean that other factors such as Free T3, Free T4, Reverse T3 and other thyroid tests should be evaluated in conjunction with the TSH. Suppressive doses of thyroid hormone may be beneficial in some patients, but you should never adjust your thyroid dosing while dismissing the TSH entirely. Following your TSH is an important part of thyroid hormone management, but it shouldn't be the only test you order. There may be some risks associated with TSH suppression (from endogenous thyroid hormone) but some of these potentially negative side effects may be avoided. If you are taking suppressive doses of thyroid hormone ensure that you are monitoring bone density and cardiac function. You can evaluate bone density with a DEXA scan and you can evaluate cardiac function with an echocardiogram. In some cases, bone loss may be prevented or avoided with the use of bio-identical hormones such as estrogen or with calcium supplementation. In some cases, cardiac complications may be prevented or avoided with the use of beta blockers (12). Your goal should NEVER be to suppress the TSH, but it may not be a serious problem if it is done correctly and only for a short period of time. Are you currently taking suppressive doses of thyroid hormone? Are you experiencing negative side effects associated with your TSH being low? Do you have a low TSH but still experiencing the symptoms of hypothyroidism?